Even with more than 20 million visitors worldwide, Moviepilot.com can tailor very specific content about films to their respective fans. Companies like this mine troves of data to better understand their customers. Without customer data analysis, you’re probably steps behind the competition. In this case study, one expert examines how Moviepilot helped its users see the content they wanted through their favorite social channels. 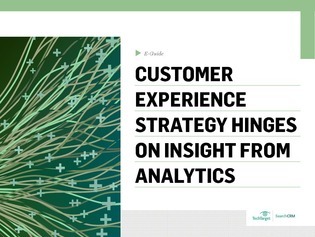 Learn how to leverage data and analytics to spark your own engaging customer interactions.